A colleague once told me, while I was in the midst of sharing some complaint about my kids’ former day care center, “Just wait until you get to elementary school.” A single mom juggling a full-time career and taking care of her daughter, she was often thrown off by unplanned closings, unexpected class trips, and other school surprises. Her point, of course, was that public schools are not designed with the working parent in mind. The start and end times, holidays, and early dismissals all result in an ever-changing schedule that throws off the carefully constructed lineup of drop off, pick up, and after school, a significant challenge for any working parent. I remember thinking that I didn’t completely get it; my frame of reference was the two day care centers my children had attended since they were each about 16 weeks old. We had drop off at 7:30 AM and pick up by 6 PM, with holidays that were set (except for snow days) a year in advance. The price of day care (especially for two) was insanely high, but it was convenient and helped us put together some semblance of work-life balance. I had a sense of foreboding after speaking with her, but her reality was a few years away for me, so it didn’t really sink it. So, here I am, years after that conversation, on the cusp of my son leaving the confines of day care for the unknown of elementary school. And, I think I get it. Or, at least, I’m starting to get it. 1. 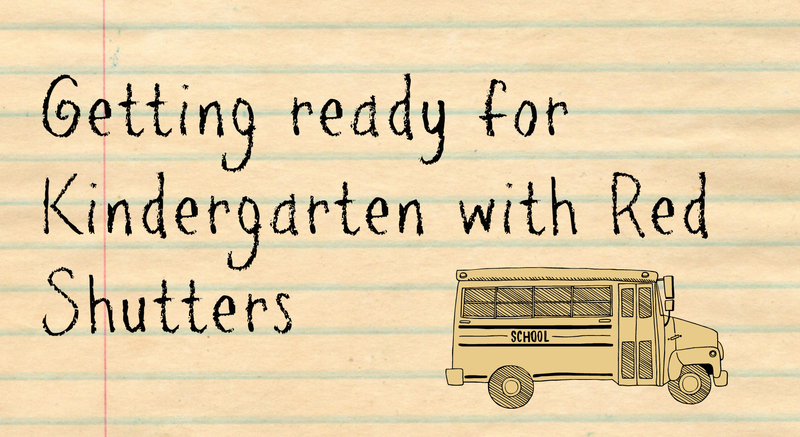 When my son starts kindergarten on September 3, there’s no after school care that first week. The other grades have it but not kindergarten. Why? I’m not sure, but it bet has something to do with the need for kindergarteners to “transition.” My counterpoint to that “logic” is that the kids going to after school have likely been in day care before, so a transition to a long day isn’t necessary. 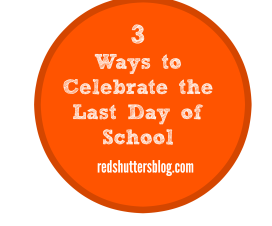 Plus, if you’re worried after school will be too much that first week, you can keep your kid home. The other families needing after school should have the option to send their kids. 2. The first week of school for kindergarteners is a series of half days instead of the full day of school they are supposed to have. The other grades have full days that first week. Why not kindergarten? I suspect it’s the same reason as for #1, which I find so frustrating (and stupid). The dismantling of my carefully constructed infrastructure to manage my family and career is what’s causing me the most anxiety about my son starting kindergarten. I’m bewildered that he’s old enough for kindergarten, too, but that’s going to be most of life, right? I’ll be struck by how quickly my children reach different milestones. What continually shocks me is that our society doesn’t support working families more by providing the services we need to work and to raise our kids—in an affordable and thoughtful way. I recognize that I’m lucky in so many ways: I can afford the insane cost of day care, I had the choice between working and staying home, I have this blog to vent my frustrations, and I have support if things go awry. So many others don’t. We’ll figure it all out; we have it. In a month or so, we’ll have a new plan and we’ll all be adjusted to it. But that doesn’t make any of this easier now. So as we started discussing on Twitter, in Newton we have only half days for the entire month of September, and then the kids get two full days a week beginning in October. The rest of the time, we use aftercare. We’ve been able to avoid before school care, though it is an option at our school. I used to wait for the bus each day, and arrive at work around 9:15. It’s brutal. However, I have found public school to be easier to manage than daycare. Schedules are usually published far in advance, and there are fewer times when things come up at the last minute. While more official policies may not be working parent-friendly, individual teachers have been and understood our needs. I’ve found the commitments to be less than daycare required, and an email to a teacher has always been better received than a harried conversation at drop off. R is going to do great, and so are you. Soon, all of this anxiety will have been for naught, I promise. Thanks for words of wisdom and support, Cheryl! We’re in that I-have-no`-idea-what’s-happening phase and it’s so hard. It’ll get better, I’m sure! Hard to believe that wonderful little guy is ready for kindergarten! The important thing is that he will thrive, and you will find the answers you need, just as you always have! (why aren’t we parents properly informed that our transitions will be as big as our children’s!) Our job is to prepare them for success, and the means of doing that, as you so ably point out, constantly shifts. Everybody gets one childhood – although some people maneuver for more – and parents like you and Rob work at creating them every day. What an awesome challenge! Good for you! I’ll be thinking of you ALL on the big day! I stay at home, but my oldest just started preschool, so we are learning now about how ridiculously expensive it is and how inconvenient it can be. The hours are not what we would wish, but it’s the best school in the area. And with most children now attending some form of daycare or preschool before Kindergarten, you’d think they would have gotten rid of that “transition” period already. I mean really, what difference does a week really make?